One of the best things about the type of pool that you see at your favorite resort or hotel is the small touches that make them feel so luxurious. So, if you could bring those hallmarks home to your own backyard, why wouldn’t you? Here are four features to add to your next pool design to make it a little more glamorous and stand out from the pack. An easy way to make your pool feel more upscale is to choose a darker finish for the interior. Picking a deep, dark water color helps bring an attitude to your pool that lighter finishes just can’t achieve. And when using PebbleTec as your pool finish, picking a darker color has little to no effect on the cost of your overall project, so it’s a win-win. 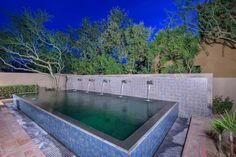 The only downside is, the darker the color, the warmer your pool can get during the hot summer months in Phoenix, so take that into consideration when making your decision. On a related note, one of the hot trends in the luxury pool market is glass tiles. If you want to go all out, you could use glass tile to cover the complete interior of your pool to really bring a pop of color and elegance. But, if you want to go the more subtle route, glass tiles make accent pieces around the water line, water features, or infinity edges. 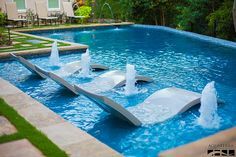 Infinity edges, also known as vanishing edges, are also one of the most popular features in luxury pool design. When executed well, these edges give the illusion that your pool disappears into the horizon and add depth to your pool. The size and shape of your backyard play a big part in determining whether or not an infinity edge is right for your pool. If your layout is a good fit, however, you will not regret adding an infinity edge to your pool when you look out over the landscape as you unwind in the pool. On the other hand, a feature that will work for almost any pool is a sun shelf. If you are unfamiliar with sun shelves, they have become prevalent in commercials pools in the past few years and have been making their way into residential pool design as well. This feature is essentially a large ledge covered in roughly a foot of water that serves as a great place for sunbathing or sitting in a pool chair. These can be as big or small as you like, and are perfect for relaxing or entertaining. 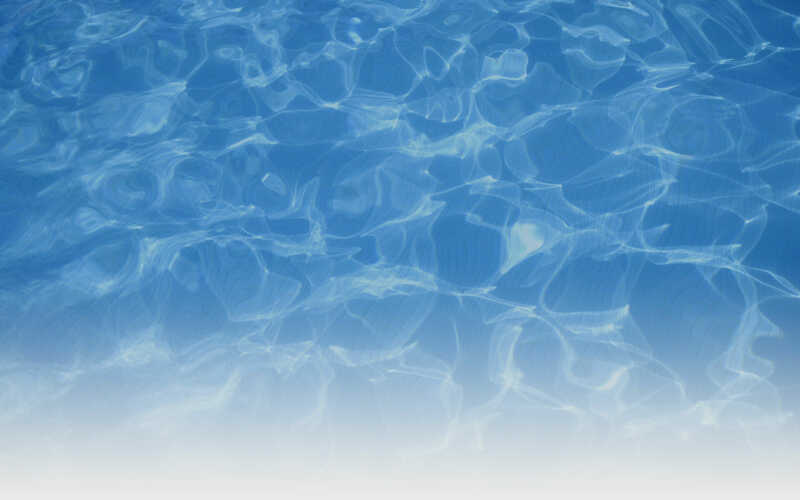 If you are interested in building a new pool, let us know by contacting us here. You can get a free estimate on your project, and we can build you the pool of your dreams—as luxurious as you’d like.